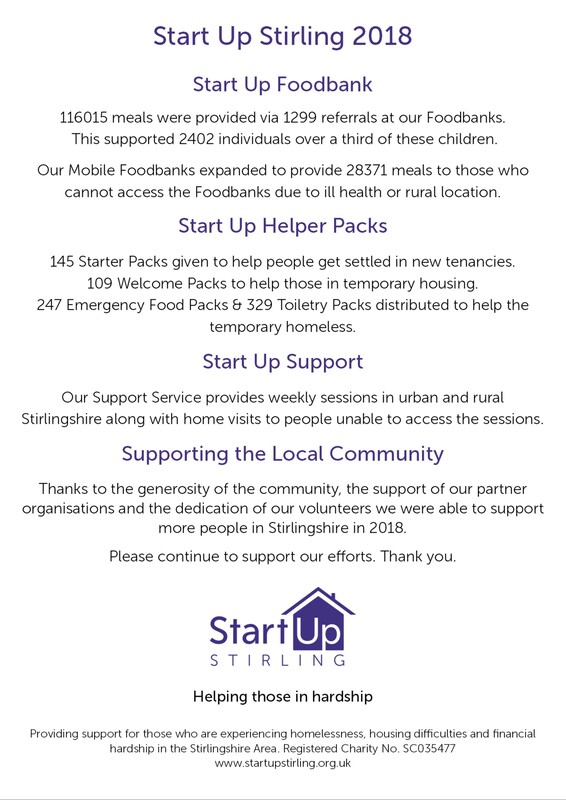 2018 was a very busy year for Start Up Stirling. Thank you to our wonderful volunteers for your tireless work. Thank you to everyone who supported us with donations making this possible.